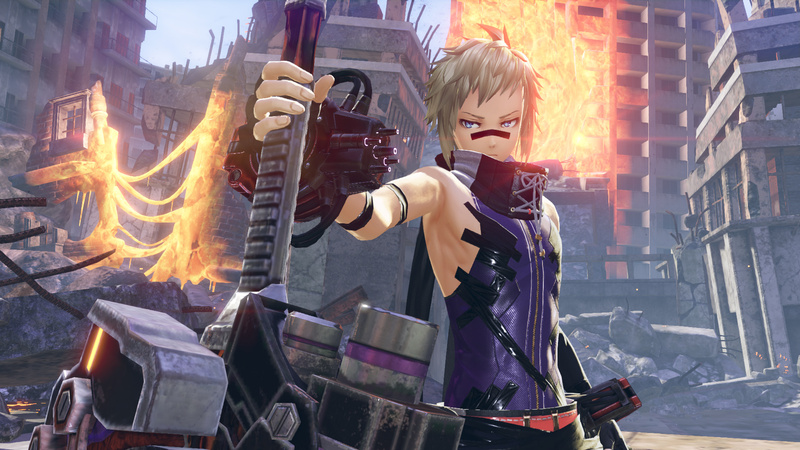 The God Eater franchise, much like Monster Hunter, has had a tough time finding an audience in the West. Much like Monster Hunter World, God Eater 3 has the best chance of achieving this feat. God Eater 3 has improved in ways that past titles desperately needed. It’s a good thing because it’s now a lot more accessible to newcomers and a great improvement for long-time fans. God Eater 3 doesn’t hold your hand when it comes to its story. Consequently, those entering the franchise for the first time will be completely lost by its world and lack of narrative explanations. God Eater 3 expects you to already know about the world, the God Arcs, and the Aragami. This comes off a bit unfair, but God Eater 3 does allow you to catch up on everything with its huge text database. The story this time follows a group led by Hugo, fighting for their freedom. Hugo and his team are tasked with protecting a girl, named Phym, who attracts Ash Aragami. The refinements of the government believes that Phym may be the key to changing the tides in humanity’s desperate battle for survival. The story this time around is much more streamlined and a lot easier to enjoy. Cutscenes are plentiful, and amazingly-animated cutscenes play during the bigger story sequences. Your custom created character also plays a key role. Though you’re a silent protagonist, your character doesn’t have a problem fitting into scenes and still standing out. God Eater is an anime version of Monster Hunter. Though it isn’t as much hunting and tracking monsters, its premise is the same. You go into a mission with three of your companions, and you slay the unique Aragami that appears. Each Aragami is unique and forces you to change up your strategy. From flying humanoid birds, giant armored alligators, and massive fire breathing lions, learning how to take these beast down is half the fun. As battles rage on, you destroy parts of the Aragami by weakening them and knocking them down. Destroying parts net you rare crafting materials and make battles easier by revealing the soft, fleshy parts underneath all their armor. Doing so is much a tougher task than it sounds. I found that God Eater 3 really forces you to think and prepare for the mission ahead as opposed to previous titles. 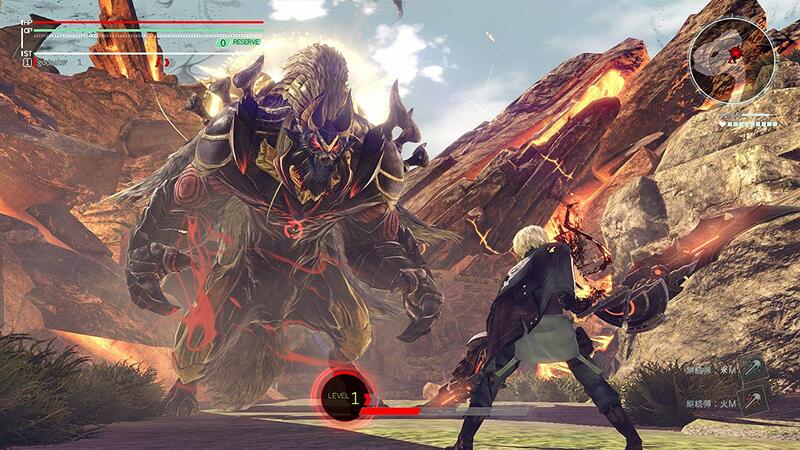 God Eater 3 can be a tough game, as the Aragami don’t hold anything back in their ferocious assaults. God Eater 3 does suffer from repetitive mission structures. Unlike previous installments, the story moves along much faster from mission to mission than before. Assault Missions are multiplayer missions that act like big raid battles. You team up with other players to take down a massive Aragami. I wasn’t able to experience this mode as much as I wanted to due to servers lacking in players before launch. Still, it was blast for the little I got to play of it. God Eater 3 does support co-op throughout the game for those looking to play with their friends and hunt monsters together. For some of these battles, communication is key. Preparation is also important. Learning from past experiences is your best chance at survival. 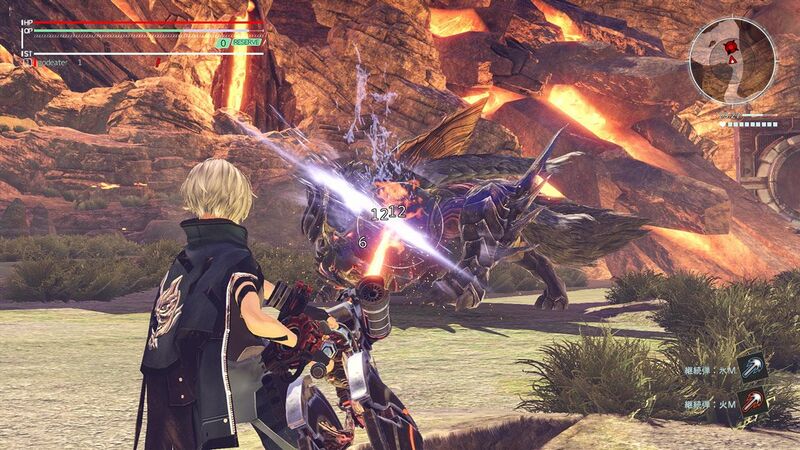 God Eater 3 allows you to equip a multitude of weapons, from dual blades, heavy swords, mallets, and scythes (my personal favorite). Your weapons are called God Arcs. What makes them unique is their ability to morph into giant guns that help out with flying enemies and long range battles. These Arcs also open into a giant mouth to take a bite out of enemies. Although you might have your favorite weapon, it’s important to note that you have to change your weapon depending on the Aragami you face. This aspect of the game is far more important now than it was in previous entries. There are plenty of other things you have access to in order to prepare, like deciding what ammo to take on your quest based on element like fire and ice. You can even craft your own ammo and combine effects like blast and stun ammo. Unique skills and abilities can be switched up and leveled up to make your character even more powerful. Most of these skills are determined by the weapon you use rather then your character. This makes switching weapons before missions that much more important. Unfortunately, the controls haven’t really been improved much. A lot of the game uses two-button combinations to pull off simple tasks. Blocking, for example, has you pushing R1 and Circle to block. However, if you push one button in a combo too quickly, you either dodge or change your God Arc to a gun. It gets worse when you try to heal or use items in the heat of battle. You have to press the Touchbad to open up your inventory, then cycle through items with the L1 and R1 buttons. You get used to it after a while, but it can still be very cumbersome in hectic situations. God Eater 3 has also gotten a much-needed update to its visuals. The character models look better and the environments look much better with impressive lighting and effects. The same can also be said for the music, which is quite epic. The voice acting is also quite good, even though the lip syncing isn’t the best. 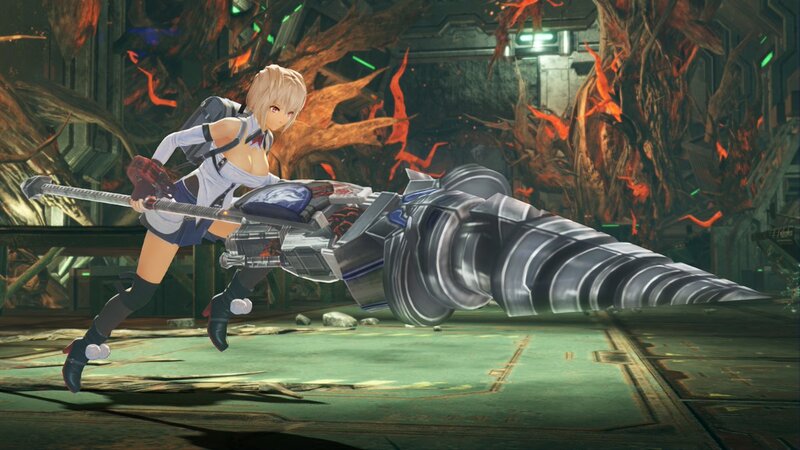 God Eater 3 has received all the improvements that you could have asked for. For those looking for a more story driven monster killing game, you should look no further than God Eater 3. God Eater 3 is a shining example of a sequel improving in almost every way. 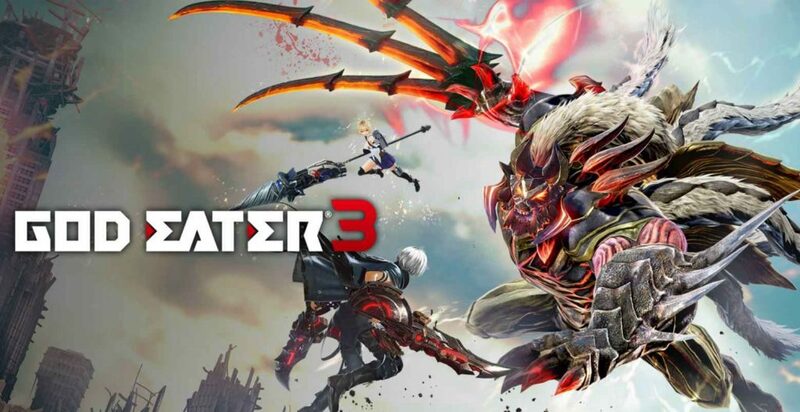 For those looking for a more story driven alternative to Monster Hunter World, God Eater 3 is maybe your game.